REI is know to help people 'opt outside' and their Outessa Summit does just that for hundreds of women around the country. “Sweat, dirty, happy” is the motto of this women’s-only outdoor retreat. 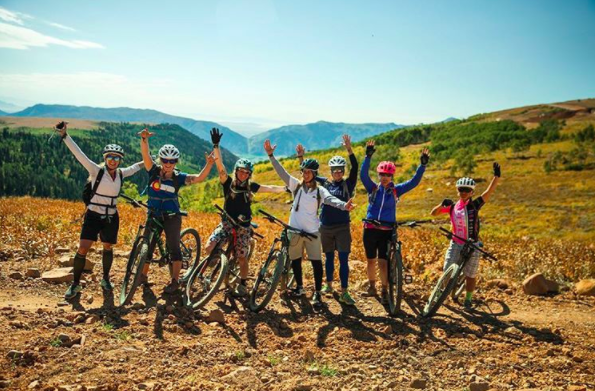 For three days, women from all over the country get together to celebrate being active in the outdoors—camping, climbing, hiking, trail running, backpacking, mountain biking, doing yoga, kayaking and enjoying gourmet meals. The trail running portion was truly exhilarating with several options to either wake before dawn and run a couple of miles up a mountain to catch the sunrise, or don a headlamp and fly through forested paths at night. Form clinics helped beginners, and every outing included professional trail runners like Stevie Kremer and Magdalena Lewy-Boulet. However, what I enjoyed most about the retreat were the moments shared (during runs or nightly fireside chats with s’mores and wine) with like-minded women seeking peace, self-betterment and joy. 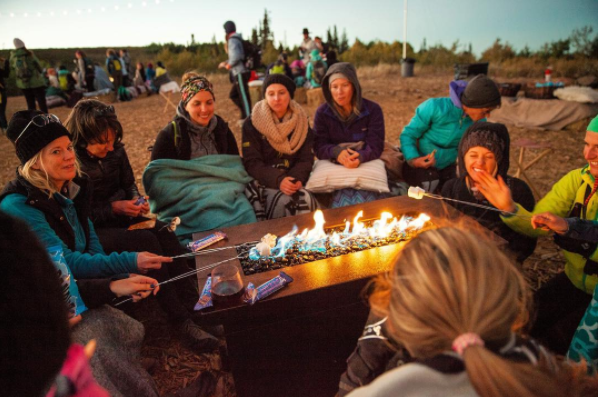 Being able to balance running with other activities including campfire cooking and a wilderness survival class (very useful for female trail runners!) provided a well-rounded experience that encouraged me to be adventurous. You can stay in the REI Signature Camp, which provides a tent and all other camping gear, or nearby lodges, cabins, resort accommodations or a money-saving campground nearby. Single-day passes offer a more customized experience.